As part of Living Dialogues, Duncan Campbell engaged with a dialogue with Coleman Barks. What's unknown to many is the connection between his work on Rumi and the vision of his teacher Bawa Muhaiyaddeen, whom even Coleman never met prior to the dream. Manifesting in dream of disciple of the master is something which is well documented in sufi experience and literature, but coming from a westerner of our time is something worth noting. It testifies the fact that the esoteric dimensions keeps manifesting in all ages when appropriate. read this extra-ordinary experience from Coleman himself. Duncan Campbell: One of the things that I thought might be of interest to our listeners is to tell the story perhaps, for openers as to how you came to Rumi's poetry. ... I had this dream in which I was sleeping by the Tennessee River. That's where I grew up outside Chattanooga. 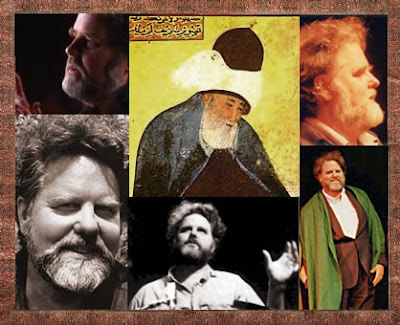 About Coleman Barks / Coleman Barks' versions of Rumi have proved to be remarkably popular making Rumi into one of America's best selling poets. Many consider that this unprecedented interest in the poetry of Rumi is primarily due to Barks' translations, including “The Soul of Rumi” and “Rumi: The Book of Love”, and the anthology "The Essential Rumi". Guernica Magazine also published another interview of Coleman Barks. 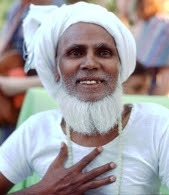 About Bawa Muhaiyaddeen / M. R. Bawa Muhaiyaddeen was a revered Sufi saint from the island of Sri Lanka who shared his knowledge and experience with people of every race and religion and from all parts of the world. He belonged to the Qadri order of sufism. He first came to the United States in 1971 and established The Bawa Muhaiyaddeen Fellowship of North America in Philadelphia. He passed away in 1986. may God sanctify his secret and bless his soul.